FSL Aerospace has announced that it has achieved its 5th year of consecutive growth. The specialist supplier of fasteners and fixings has grown sales and expanded its capabilities to meet the needs of the expanding aerospace and defence industries. This year’s growth has come both from new customers and a deeper relationship with existing customers. It included a landmark eight-year contract to supply components to Meggitt Sensing Systems (MSS) Basingstoke for the next generation of aircraft engines. This builds on a relationship spanning more than 15 years between FSL and MSS, and will see FSL supplying fasteners and fixings for Meggitt’s sensors for the new LEAP engines – already being used by industry giants Boeing, Airbus and Comac. FSL has invested in new capabilities and successfully secured re-accreditations for ISO9001 and AS9120. The aerospace and defence supplier has an impressive 99.3% right first-time accuracy rate and has secured its 6th consecutive SC21 bronze award. By building a strong reputation in aerospace through their consistently reliable supply chain management, FSL have been able to establish strong connections with aerospace giants. FSL Aerospace has been supporting the aerospace and defence industries since 1985. It has an unrestricted product range, extensive product knowledge and provision of specialist logistical solutions such as DLF, VMI and Kanban systems. 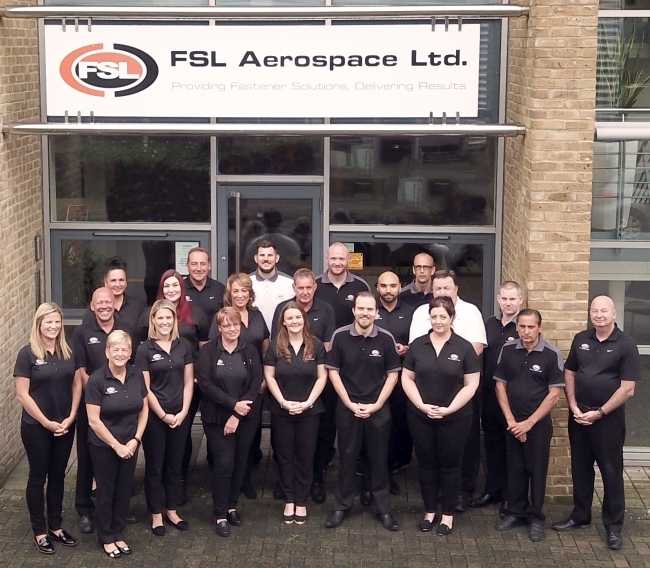 With their increased drive and clear capabilities, FSL are aiming to develop programmes with existing clients as well as developing new clients in the aerospace industry this year.